/ this series is an investigation of patterns derived from plant life, particularly flowers. 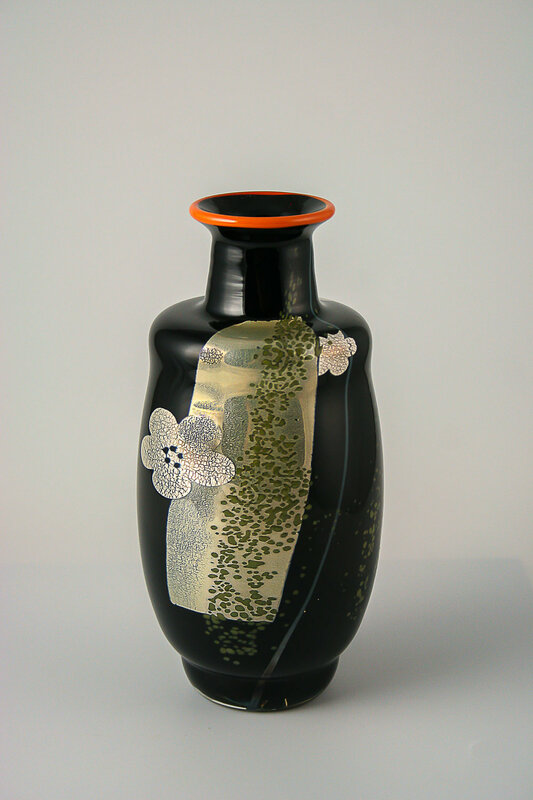 Rendered in silver leaf and foil on vase and bowl forms. Human cultures have a long history of pattern making in plant and flower motifs and provide endless inspiration.